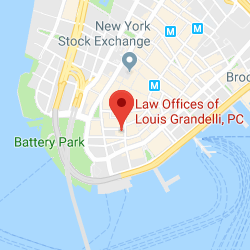 Louis Grandelli | Law Offices of Louis Grandelli, P.C. 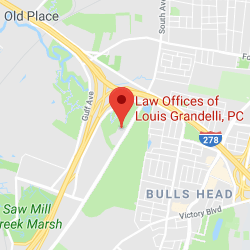 Louis Grandelli founded his law firm in 1992, and has dedicated the firm to obtaining justice for victims of catastrophic accidents and wrongful death. Louis has extensive trial and appellate experience, and leads a team of lawyers and paralegals who have obtained numerous multi-million dollar recoveries, some of which are amongst the highest in New York State. 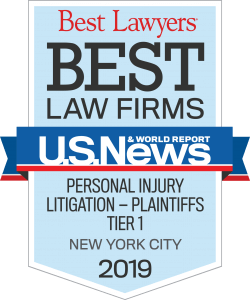 His firm has been named by U.S. News and World Reports as a Best Law Firm for Personal Injury Litigation – Plaintiffs in New York City for three years in a row. This selection was based upon exhaustive peer-review surveys, in which tens of thousands of leading lawyers confidentially evaluate their professional peers, as well as client feedback addressing the firm’s expertise and whether they would refer another client to the firm. 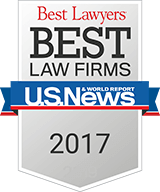 Overall, the firm has consistently been rated in the highest percentage among national law firms. Among the dozens of multi-million dollar verdicts and settlements on behalf of his clients is a $16 Million damages verdict on behalf of a motorcycle accident victim, $10 Million for the family of a man killed in a truck accident; $9 Million on behalf of a construction worker injured in a manhole explosion, $6.9 Million for the wrongful death of a financial executive and $5 Million on behalf of the family of a construction worker for his wrongful death. The numerous multi-million dollar recoveries that Louis and his law firm have obtained, have repeatedly won his firm recognition in the legal publication, Verdict Search, Top Settlements and Verdicts. Due to his status as one of New York State’s leading personal injury attorneys, Louis has been selected by his peers in the New York State Bar to Super Lawyers New York for the past six years, as published in the New York Times Magazine. He has also been selected for Best Lawyers in America for the past three years in a row. Louis was admitted to the New York State Bar in 1991. He is also admitted to practice in the U.S. District Court, Southern and Eastern Districts of New York. Louis graduated from St. John’s University (A.A., 1986) and then from Brooklyn Law School (JD., 1990). He is a charter member of the New York State Academy of Trial Lawyers, is a long standing member of the New York State Trial Lawyers, Brooklyn Bar Association, the American Association for Justice, and is on the Board of Directors of the Brooklyn Law School Alumni Association. Prior to his admission to the Bar, Louis worked as a research assistant for Professor Richard T. Farrell and assisted in the research and drafting of Prince, Richardson on Evidence, 11th Edition, the pre-eminent treatise on evidence in New York State. Rice v. West 37th Group, et al. Kurdyla v. City of New York, et al.